How to sand the intricate profile without destroying the detail? You need a flap disc head. 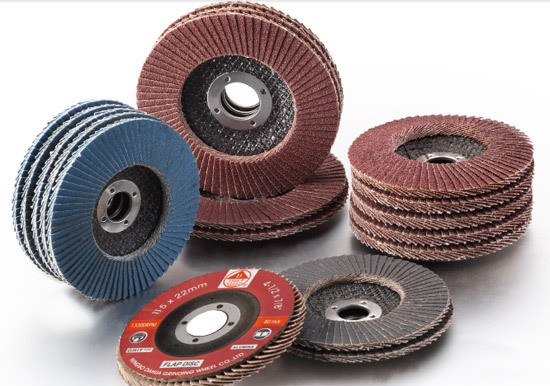 Flap discs are designed to be flexible, so to conform to the shape being sanded. China flap disc is to remove the small fibers that pop up when sanded in any other way or when any type of chemical or water is applied to the surface of the material. These fibers if not removed will raise up and set in a dried position causing a rough primer or stain and seal coat. Utilizing a flap wheel head will remove these fibers resulting in much less sanding time between coats. Finish sanding will insure a uniform pore opening in the material. Uniform pore openings result in uniform color balance throughout the work surface. Slightly soften the sharp edges. Softening these edges eliminates the area that is almost impossible for stain, sealer, or paint to find enough mass to adhere. Incorporating a slight radius in these areas eliminates the weak area in a finish. It also makes sealer or primer sanding much easier in that you are less likely to sand through the finish in these areas. A Thin or Thick Coated Wheel, Which Is to Be Chosen? Why to Choose a Right Coated Grinding Disc? What Are the Common Causes of Wear on the Grinding Wheels?